You should exercise your mind in the same way that you exercise your body. As regular exercise is believed to give your brain a mental work-out, it could reduce your chances of developing Alzheimer's Disease. Research has indicated that those aged over forty-five taking part in regular physical exercise two times per week (for at least half an hour) are up to sixty per cent less likely to develop Alzheimer's Disease later in life. This is because regular physical exercise is thought to be able to slow down your brain's ageing process. It can also improve your ability to concentrate. You don't have to get hot and sweaty in the gym though, as there are lots of different sporting activities that you can get involved in to keep your mind active and healthy. Playing golf might not be your first choice of sporting activity, but it is a great way to help your mind to stay active. Playing a round of golf involves making important decisions as to which strokes to play in a given situation. As you might expect, this is a good form of mental stimulation, particularly as a round of golf can last for a couple of hours or more. There are also good social opportunities when playing golf. To many people, yoga is a “soft” option that does not involve much stamina. This is something of a myth, as successful yoga moves require you to be supple and strong. In terms of physical demands, it is extremely difficult. The fact that it encourages you to be able to control your muscles and breathing patterns makes it beneficial for keeping an active mind. To do this successfully, you need a tight focus, which has the added benefit of reducing stress (as the fact that you are focusing so intensely on controlling your muscles and breathing makes it difficult to simultaneously stress about anything else!). Pool is another sporting activity that many people would not automatically engage in, and some people even question whether it can legitimately be classed as a sport. To play pool successfully, you need to be able to focus and block out potential distractions. The strategic planning that often goes into weighing up the situation and deciding which angle to play your next shot at requires sharpness and mental clarity. As pool is predominantly played using various angles, physics also comes into the equation. Contemplating things in terms of physics does not happen a lot in everyday life, which makes playing pool a good sporting option to mentally stimulate your mind. Taking up a new form of physical exercise can be an entertaining way to keep your mind active and healthy during your retirement. It is widely believed that engaging in regular physical exercise can reduce the likelihood of developing Alzheimer's Disease. Golf, yoga and pool are all beneficial for an active mind. 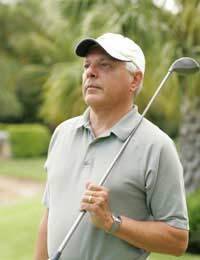 In particular, golf and pool force you to make decisions in the context of where the ball is on a regular basis, which has the benefit of mentally stimulating you.